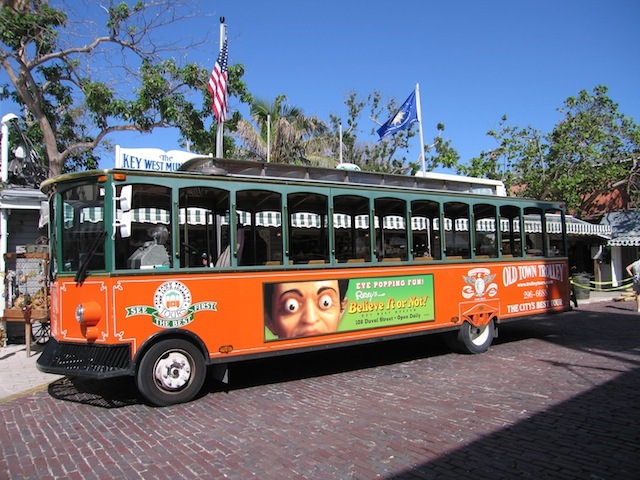 One of the best ways to see Key West is to take the Old Town Trolley Tour. 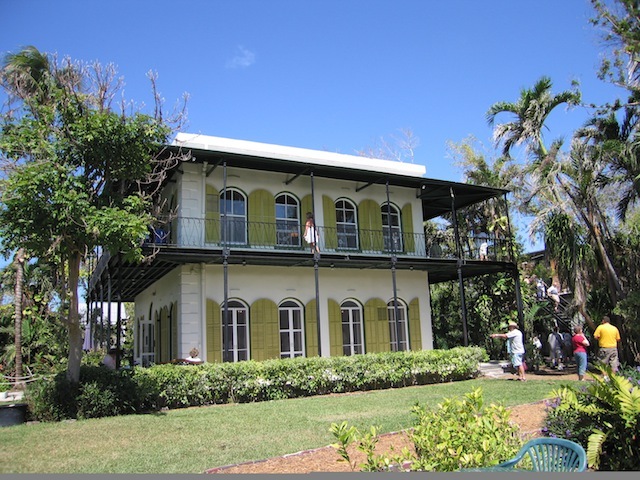 The ninety-minute tour covers the whole of Key West. You are able to get off and then reboard at any of the stops as you make one complete loop. We started our tour at Mallory Square but you can begin at any of the ten stops. All the drivers have a wealth of knowledge and are proud to share the history, lore and legends of Key West with their passengers. The trolleys pick up and drop off at least every thirty minutes. First of all we decided which stops interested us the most and then spent time looking around the area before hopping back on the trolley and continuing with our tour. Our first stop was number five on the map; Bahama Village Market. 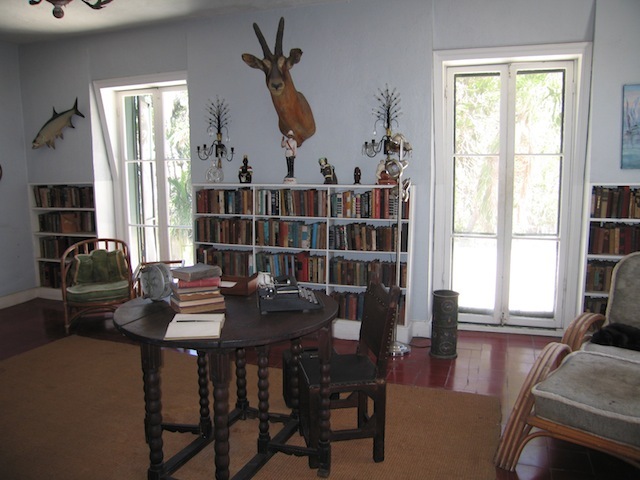 This is the stop for Ernest Hemingway’s house. We had already bought our discount tickets from the Old Town Trolley ticket booth, so all we needed to do was to hand them in at the gate. As we entered the house a tour was just about to begin. You do not need to take the tour but you would be missing out on a lot of interesting information provided by a very knowledgeable guide. After the tour we wandered around the rooms and garden again to take photographs. There are eighteen cats, which live in the house, and some are direct descendants from Hemingway’s original cats, some with six toes! 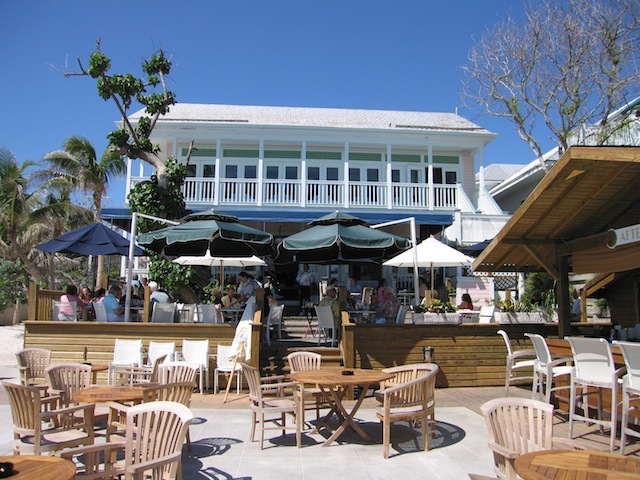 Our next stop was number seven on the map; Wyndham’s Casa Marina Resort and Beach House. Strange you may think to stop at a hotel but this was not the reason for our disembarkation. We had been recommended a restaurant to visit whilst in Key West and this stop was only a couple of streets away. The restaurant, Louie’s Backyard, is situated in an absolutely idyllic situation on the water and the food was some of the best we have eaten. If you have the opportunity to eat here you will not be disappointed. The address of Louie’s Backyard is 700 Waddell Avenue and their telephone number is 305-294-1061. Having eaten a wonderful lunch we walked back to the hotel to catch the trolley again. 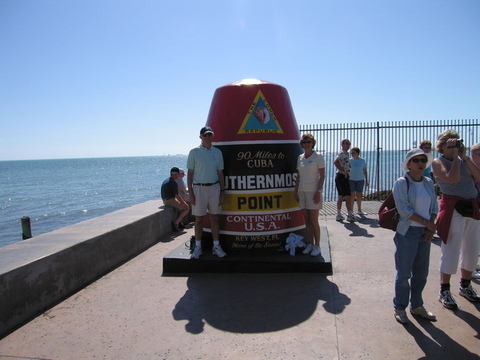 Only one stop this time and we were at Key West’s famous Southernmost point. We were expecting it to be very busy but we were pleasantly surprised to find not too many people about. A kind gentleman offered to take our photograph whilst we stood either side of the famous oversized concrete buoy. The monument sits only 90 miles from Cuba's coast and serves as a popular stop for visitors posing for a souvenir photo. Back on the trolley for the last time and our return to Mallory Square from where we commenced the tour. We had a very enjoyable day and it can last for as long as you wish. If you prefer to stay on the trolley, the entire trip will last about ninety minutes. If you prefer to get off at every stop if can take all day. The choice is yours but whatever you decide I’m certain that you will enjoy every single minute. Viewed 3915 times since 1 September 2008.